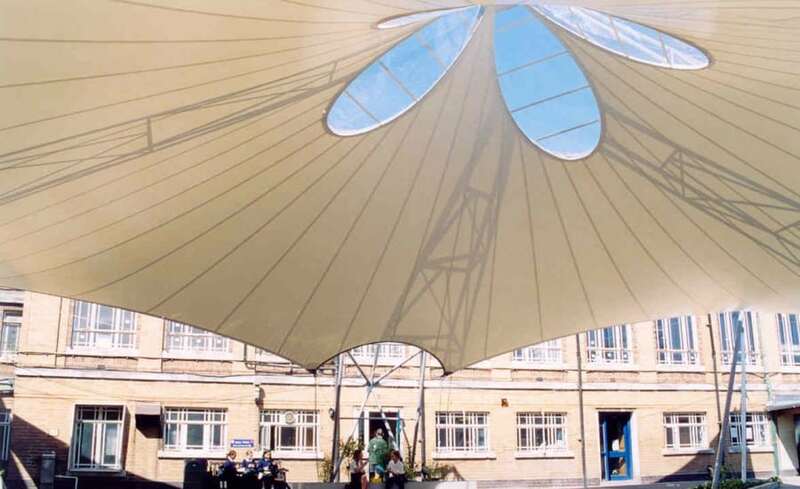 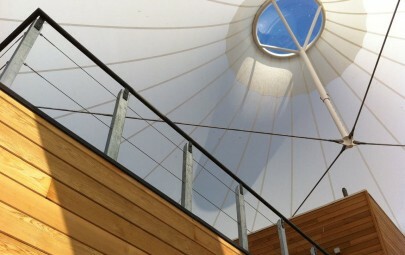 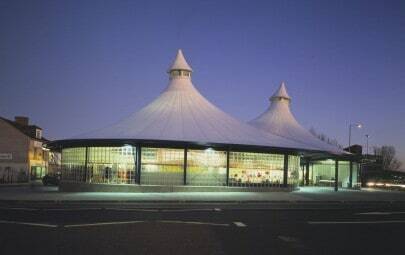 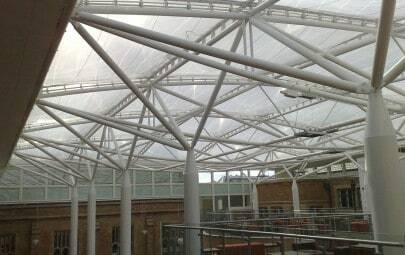 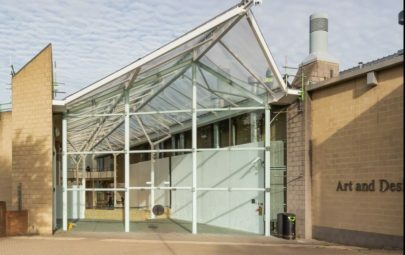 Lessons and breaks can spill outside at Cotham School due to the light-filled weather-proof space created by Architen Landrells dramatic tensioned fabric structure. 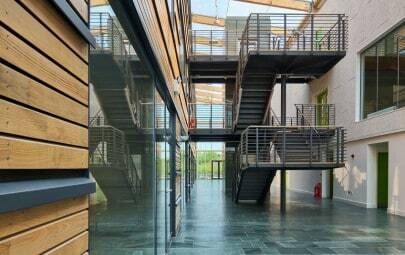 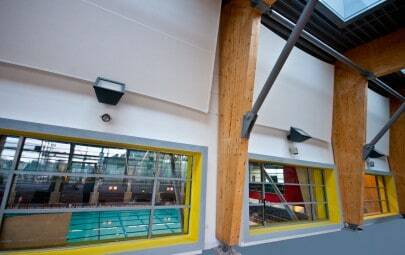 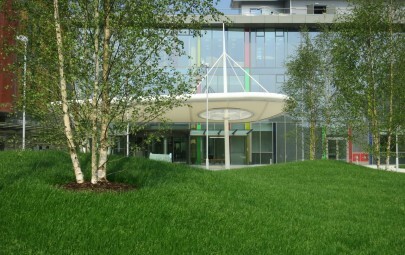 Inserted into an existing playground area, the new zone provides a flexible and inspiring educational environment. 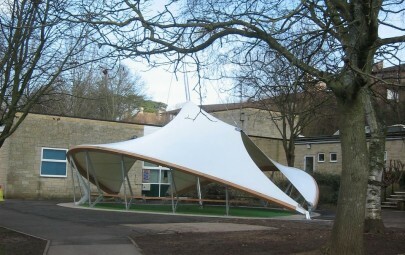 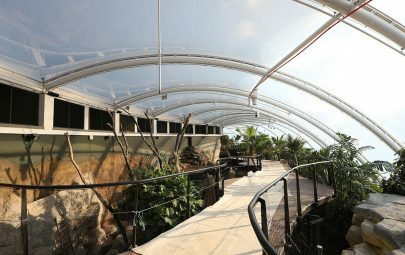 An outdoor classroom, where children could play and learn while protected from the sun and rain, was the brief at Cotham School in Bristol. 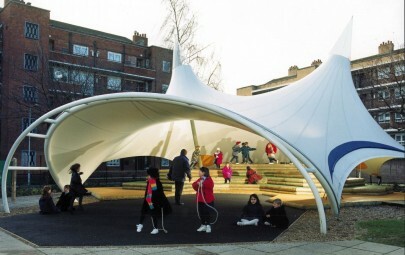 Increasing fears over child obesity have led to a drive to optimise exercise for school-age children and what better way to promote exercise at playtime that providing shelter for them to play under? 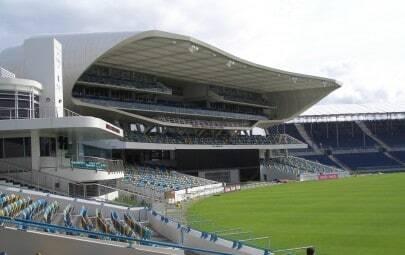 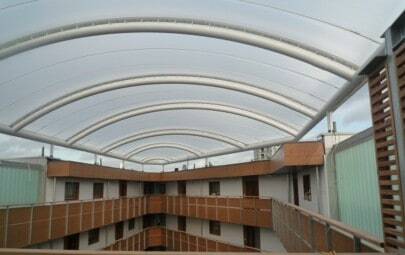 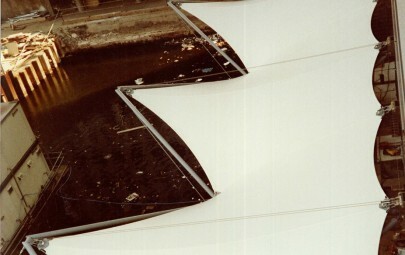 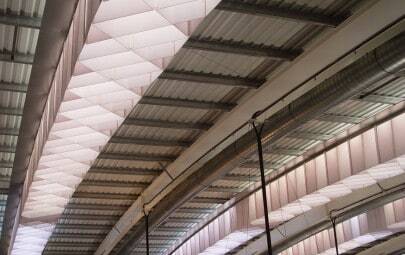 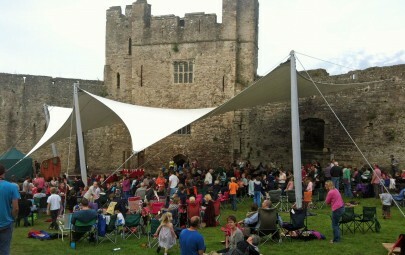 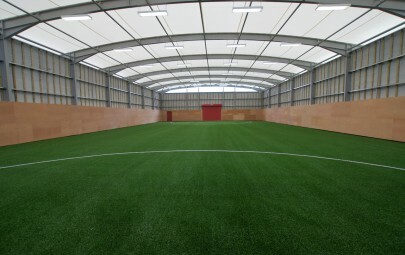 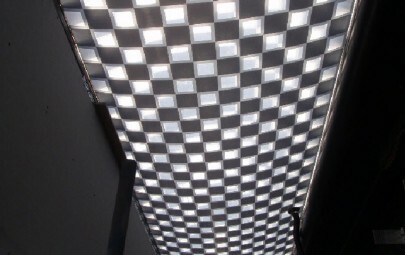 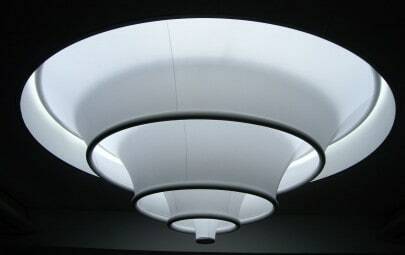 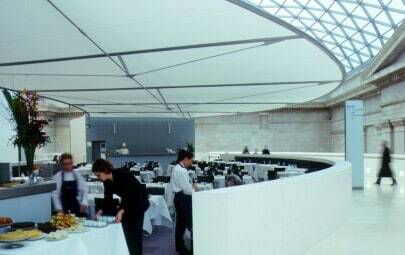 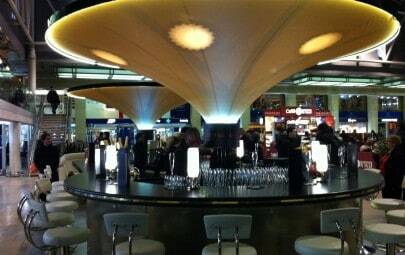 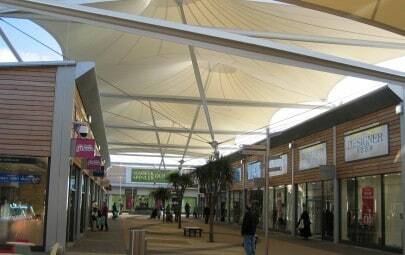 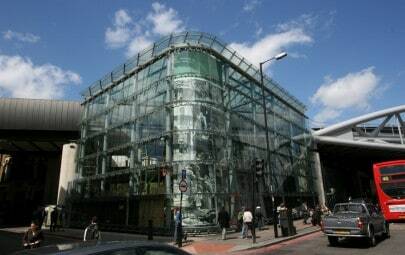 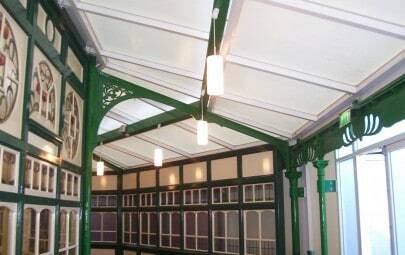 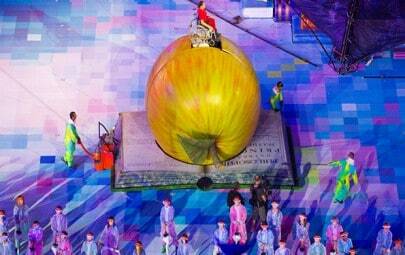 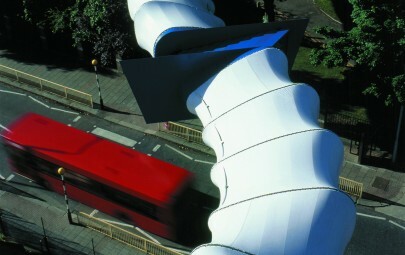 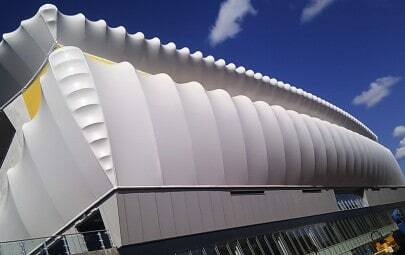 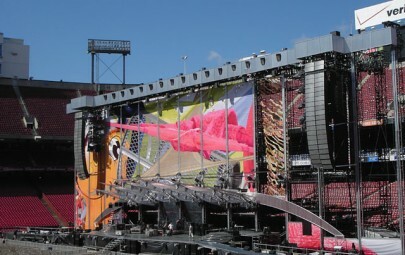 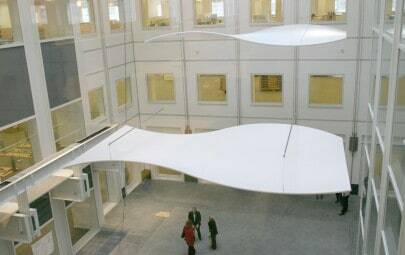 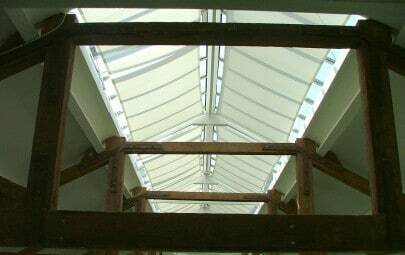 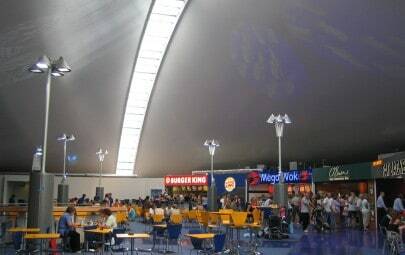 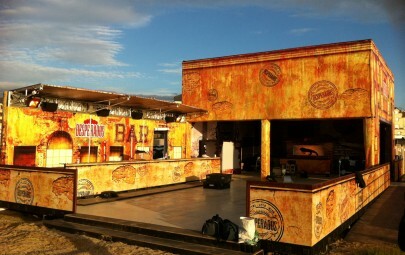 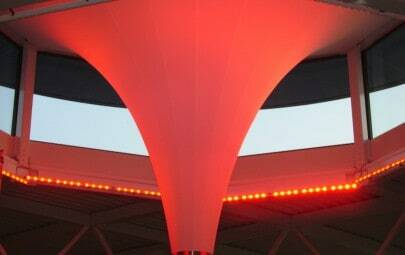 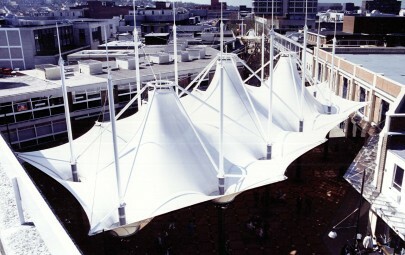 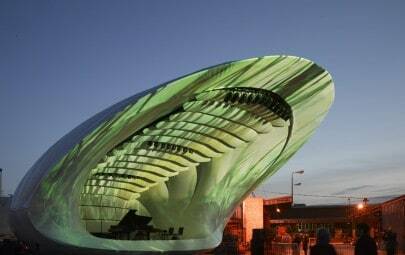 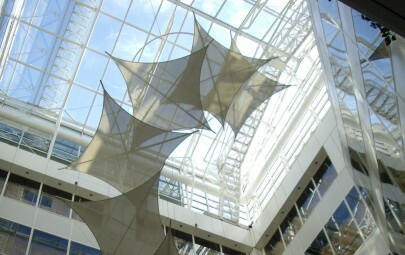 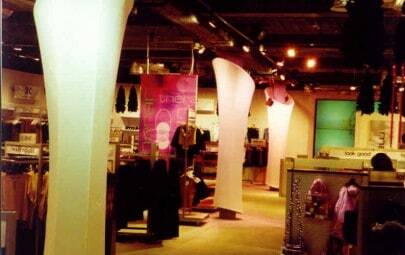 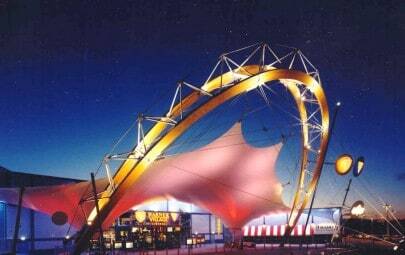 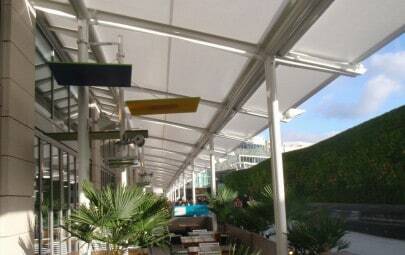 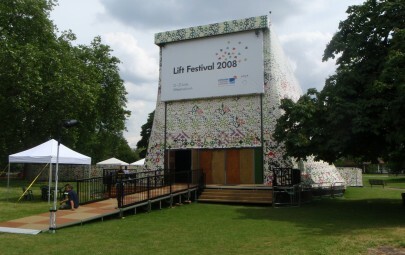 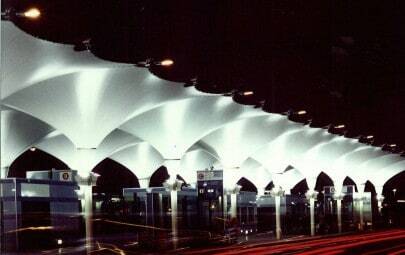 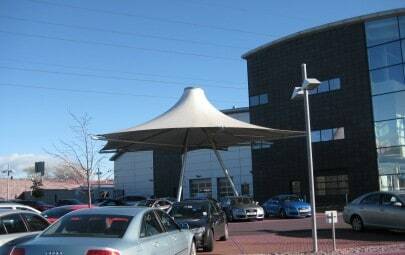 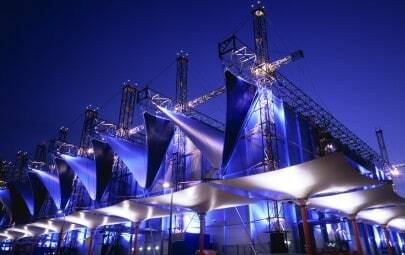 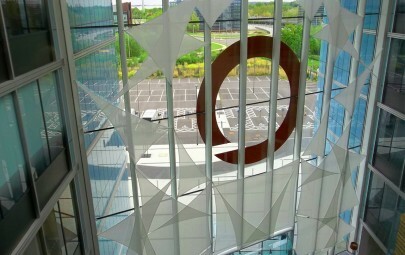 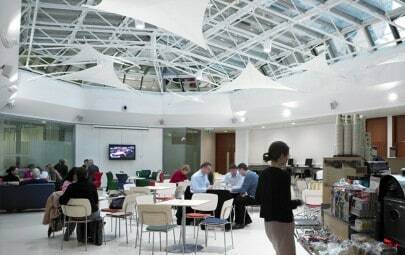 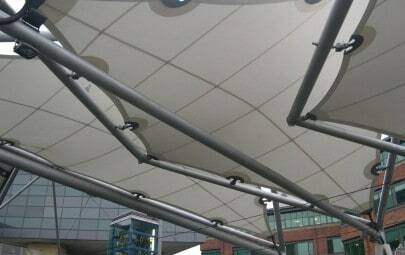 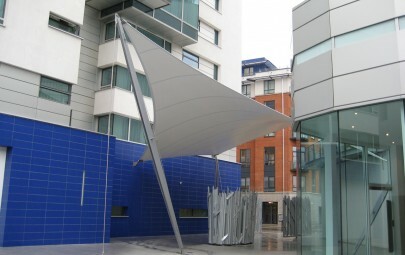 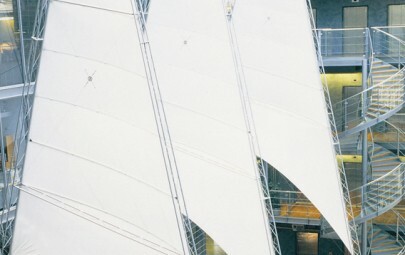 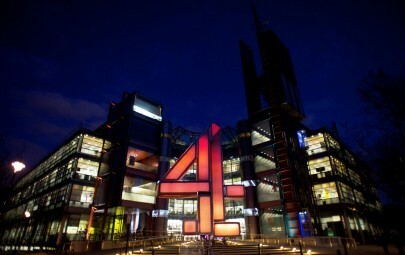 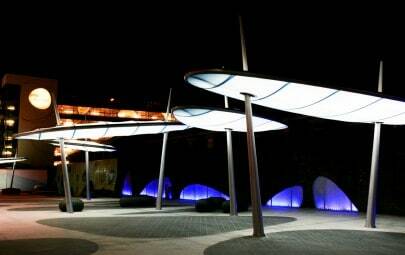 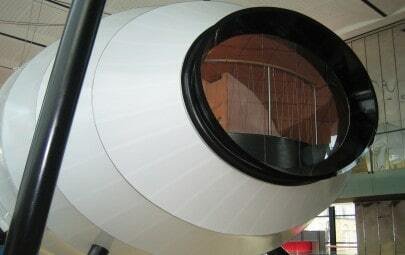 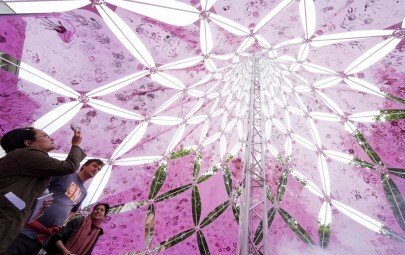 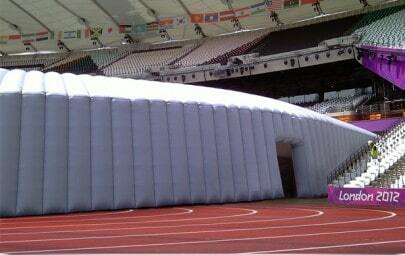 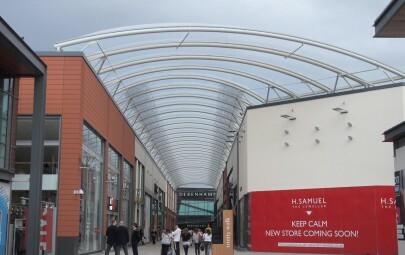 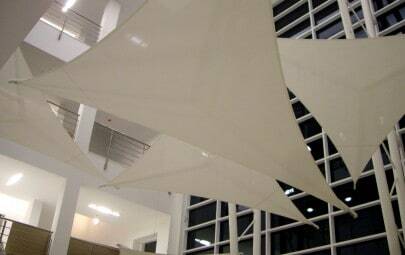 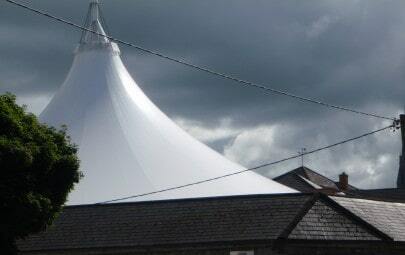 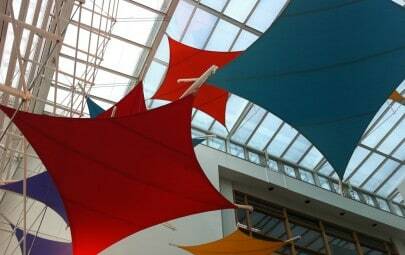 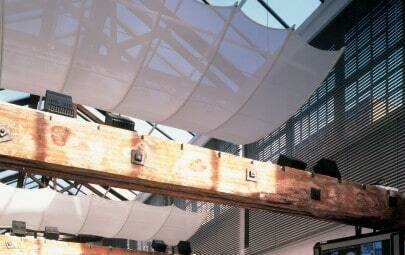 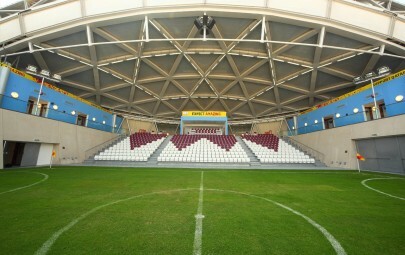 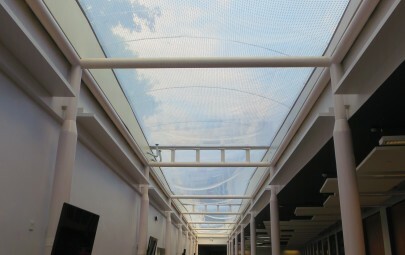 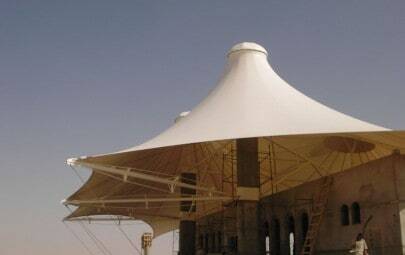 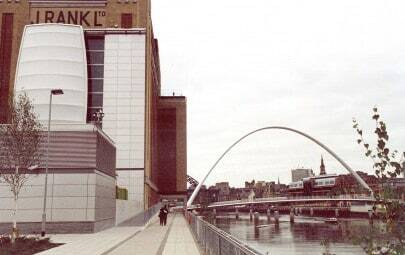 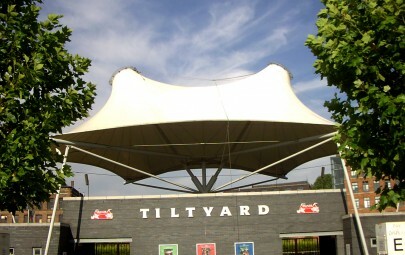 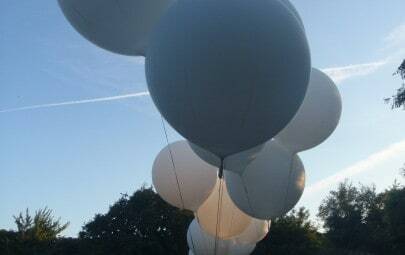 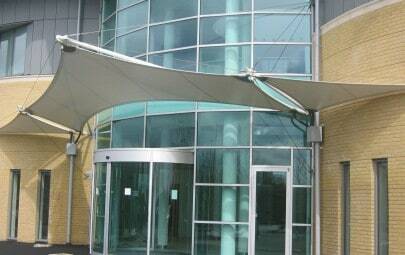 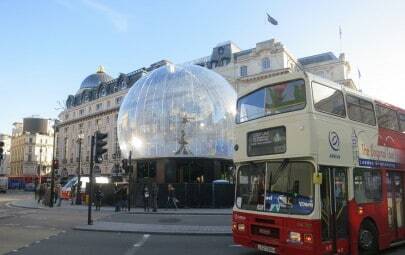 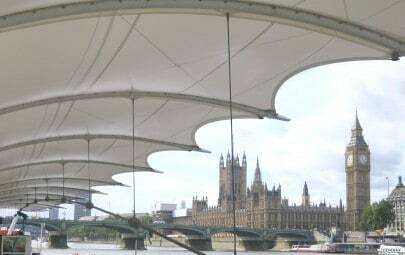 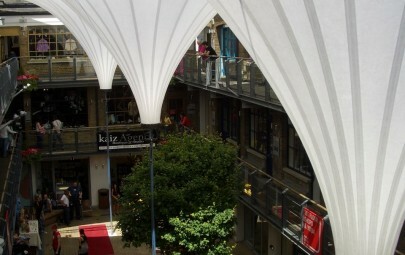 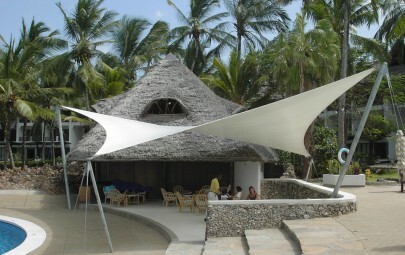 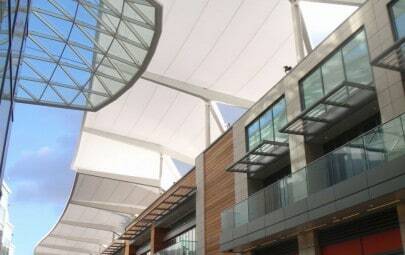 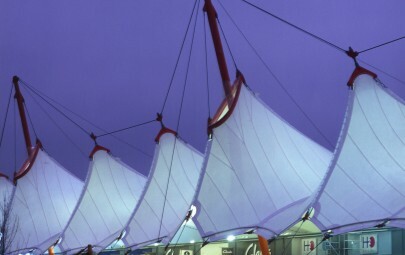 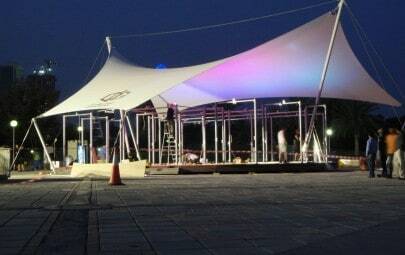 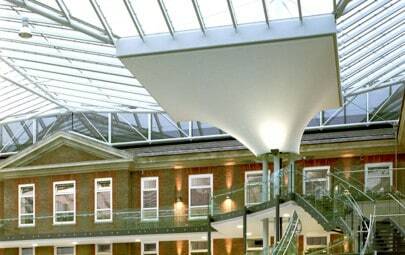 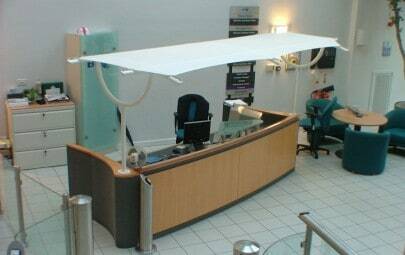 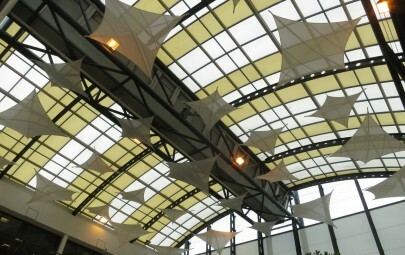 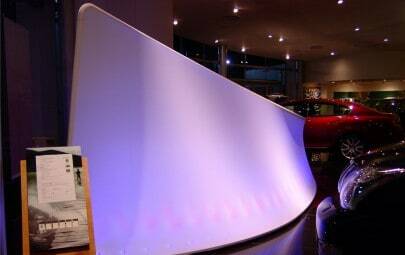 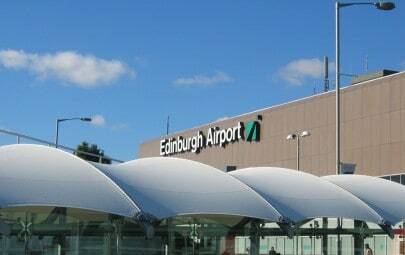 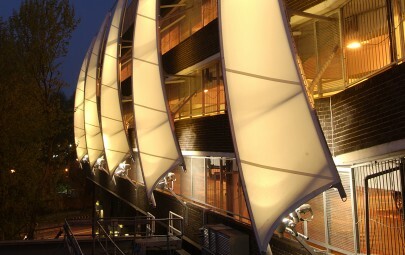 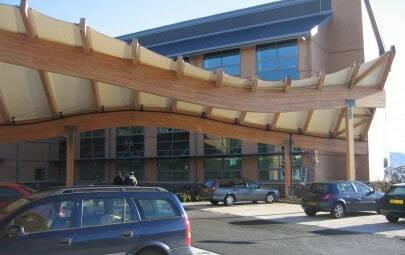 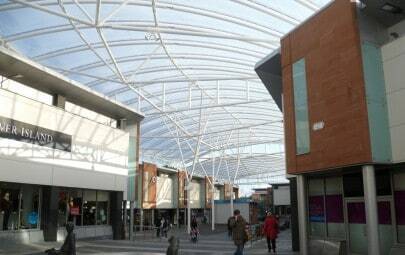 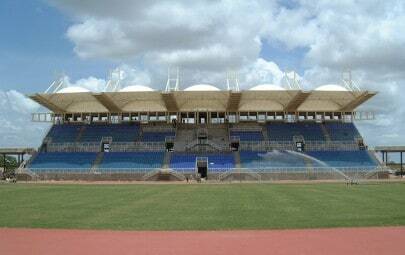 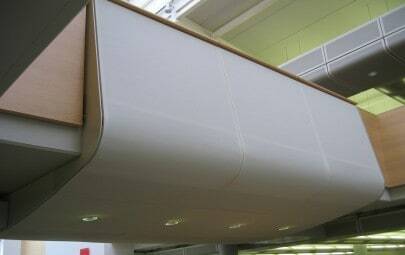 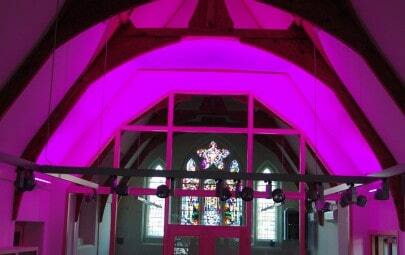 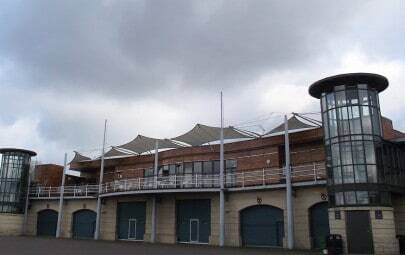 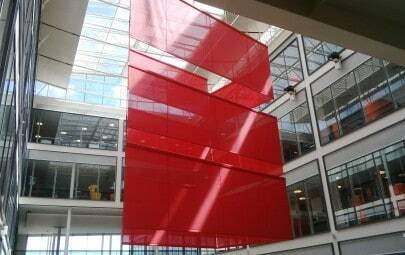 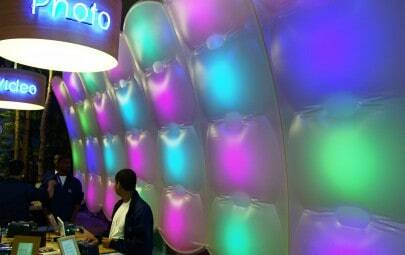 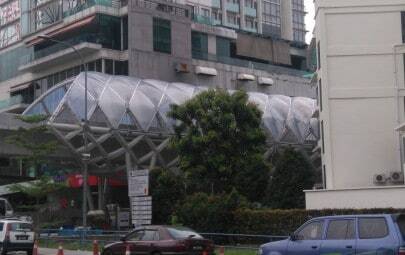 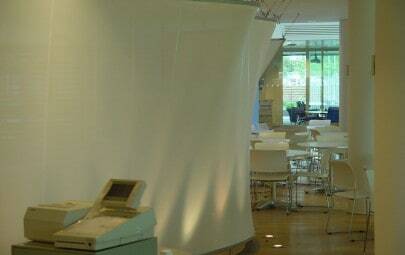 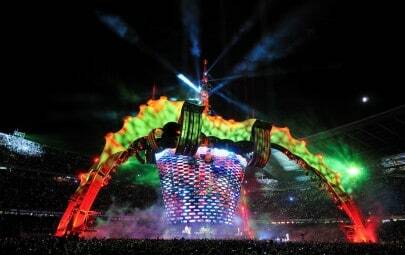 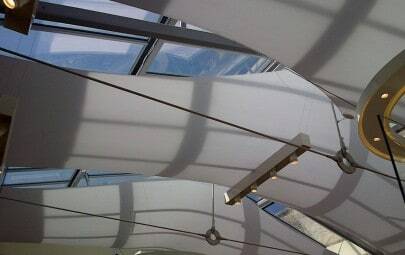 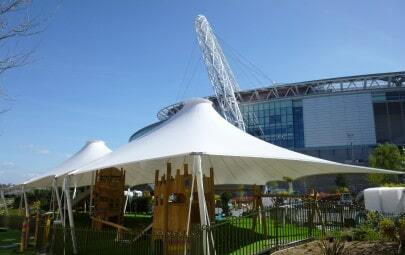 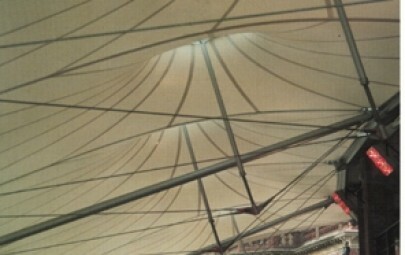 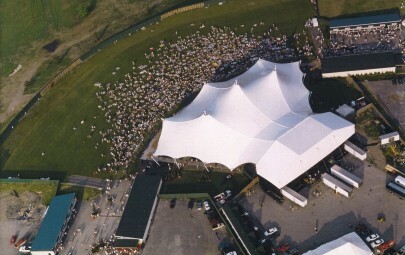 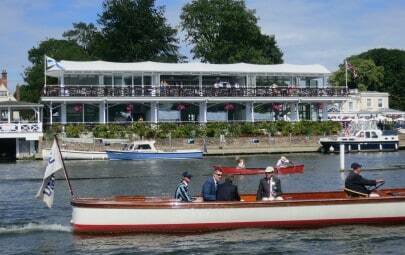 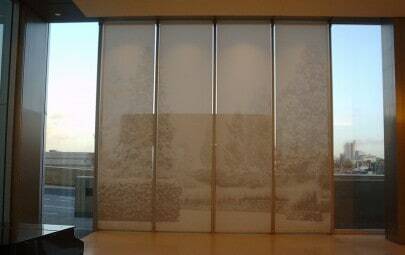 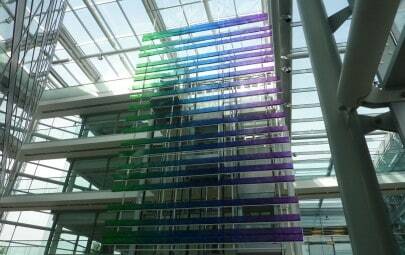 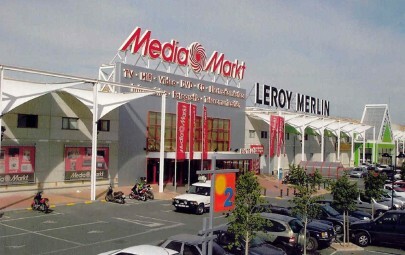 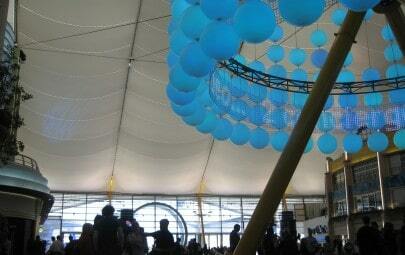 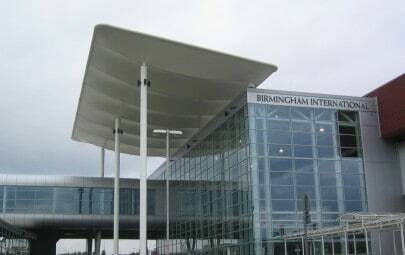 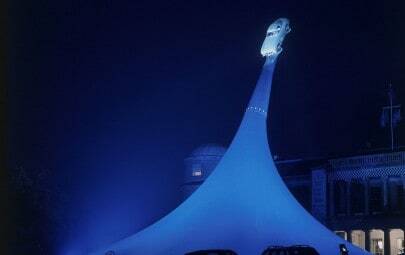 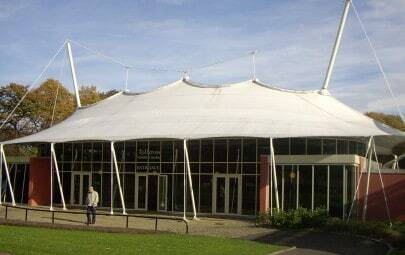 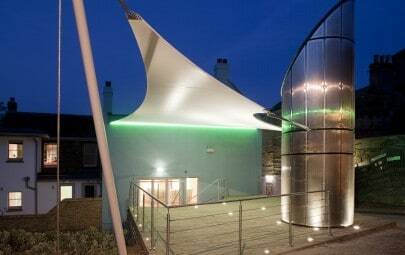 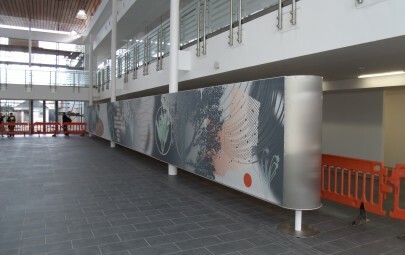 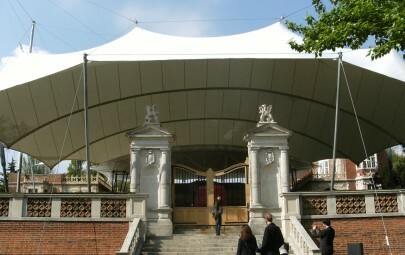 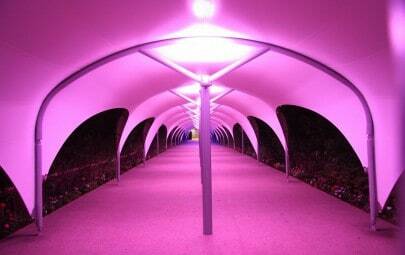 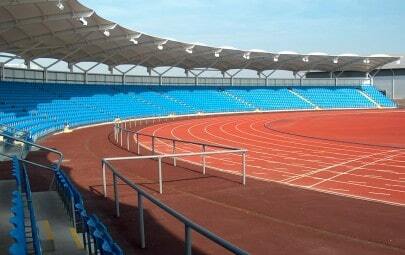 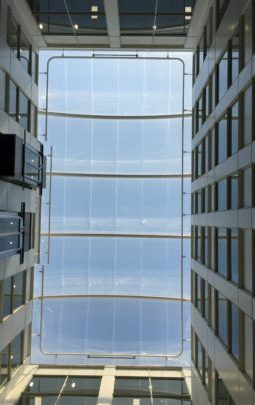 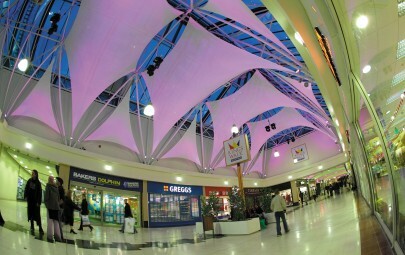 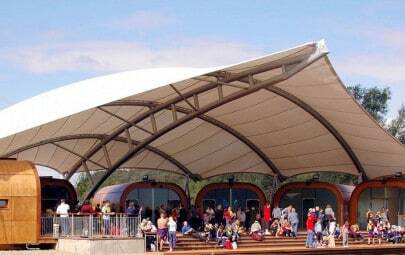 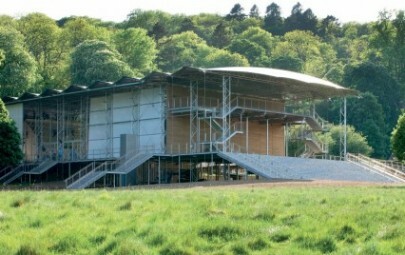 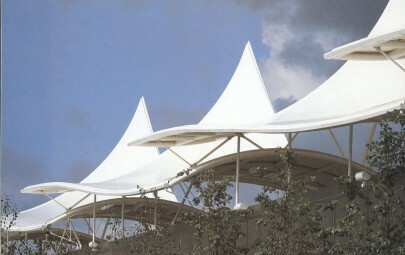 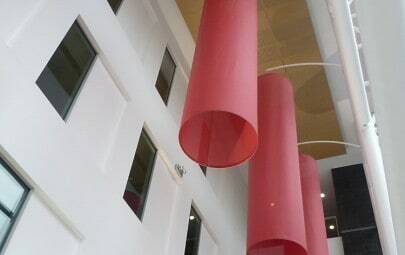 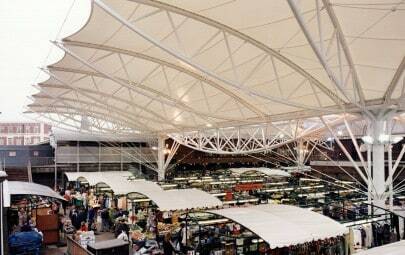 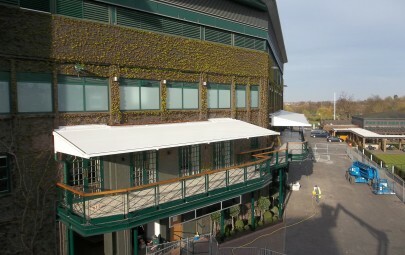 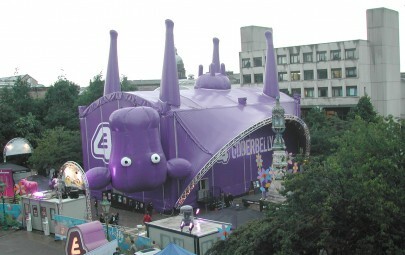 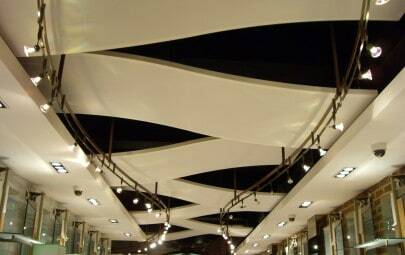 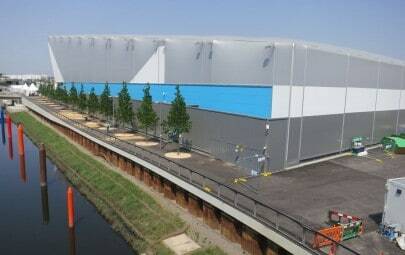 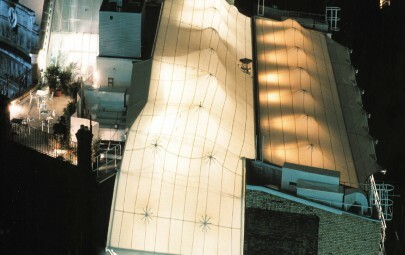 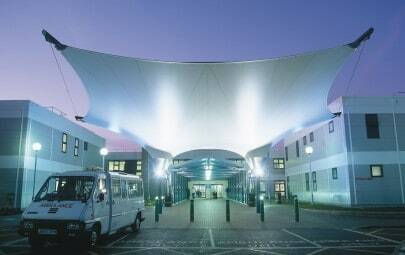 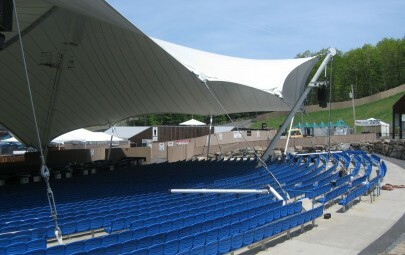 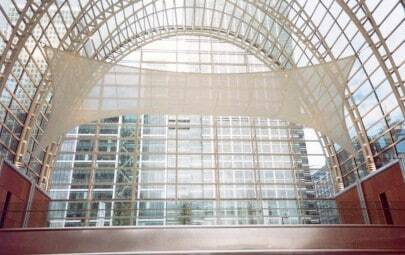 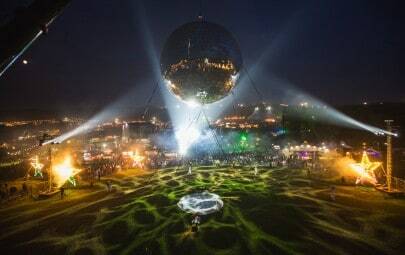 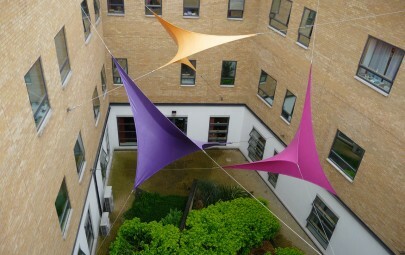 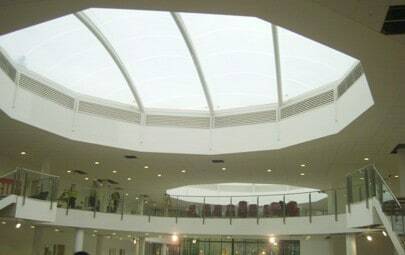 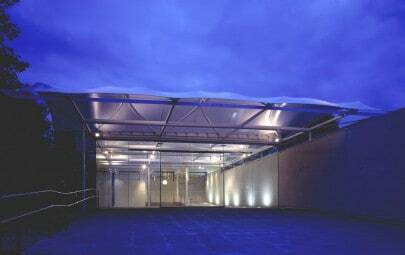 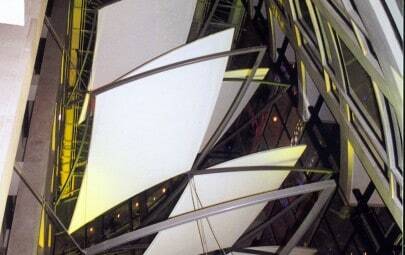 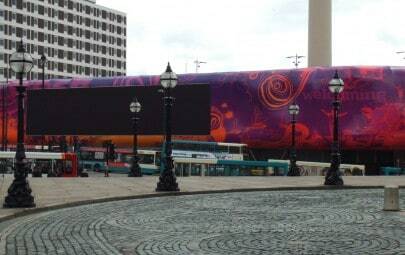 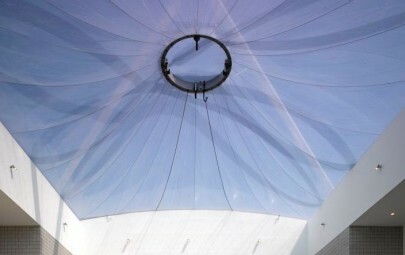 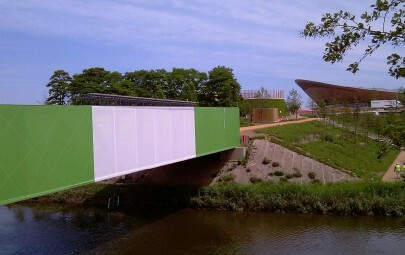 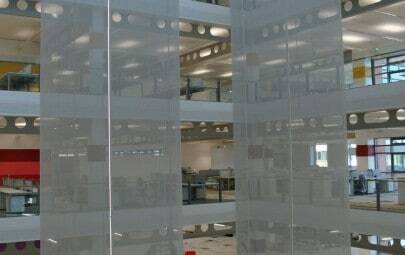 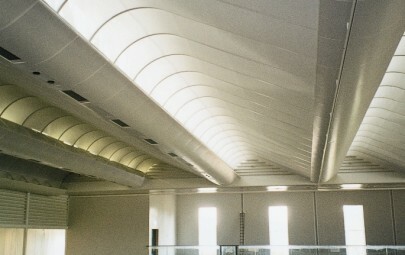 The fabric canopy, designed, manufactured and installed by Architen Landrell, fulfils exactly this intention. 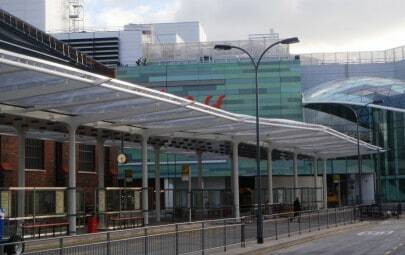 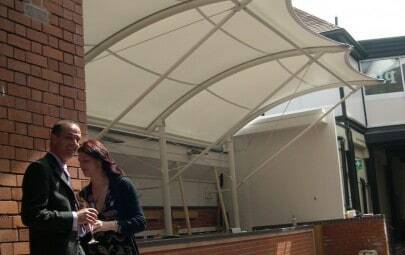 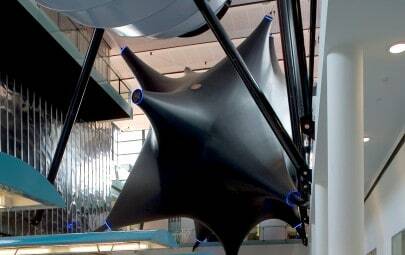 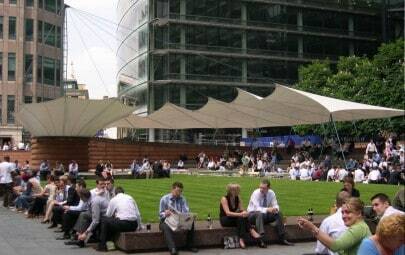 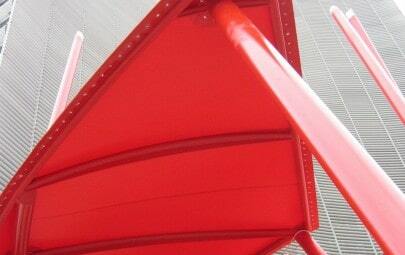 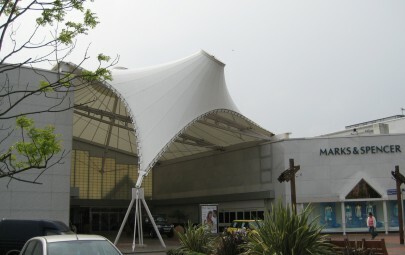 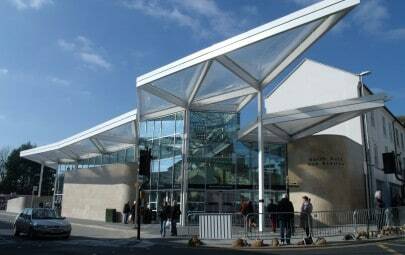 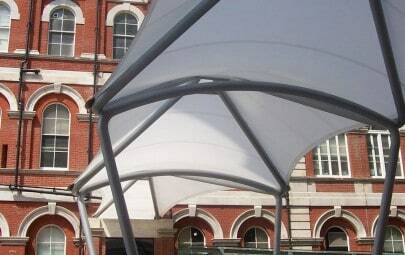 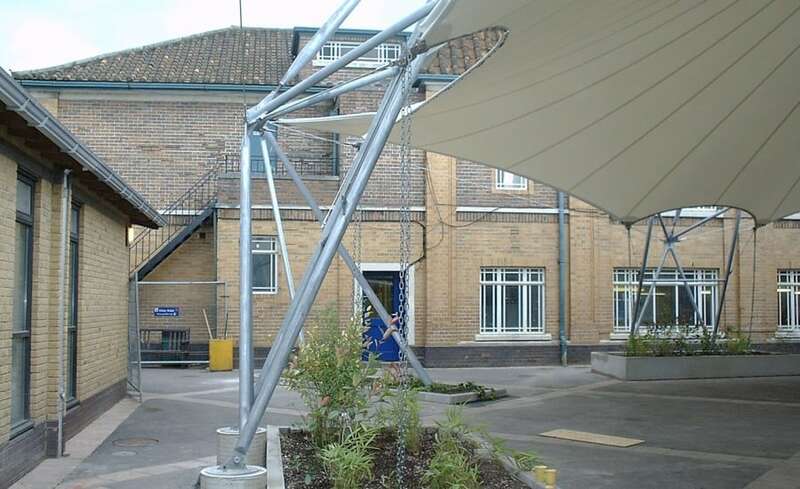 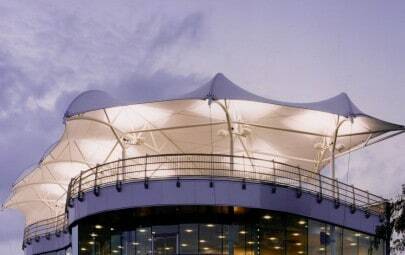 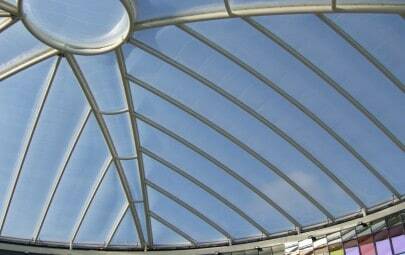 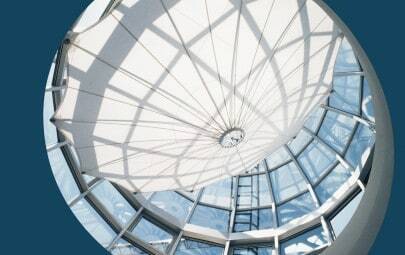 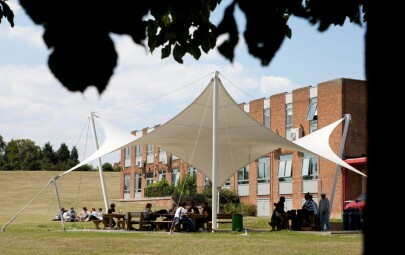 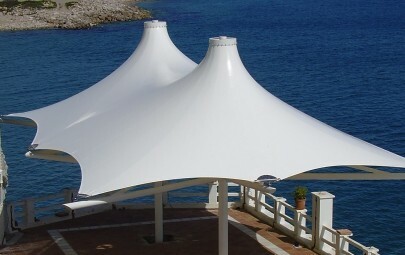 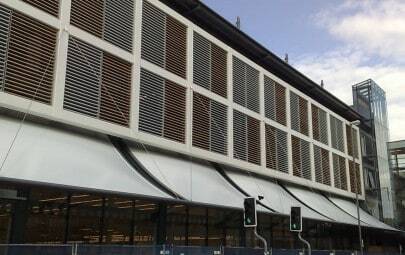 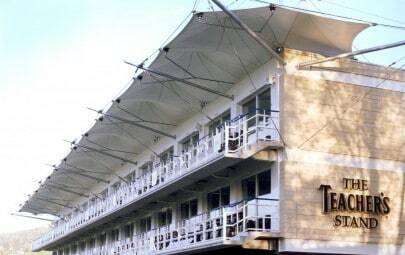 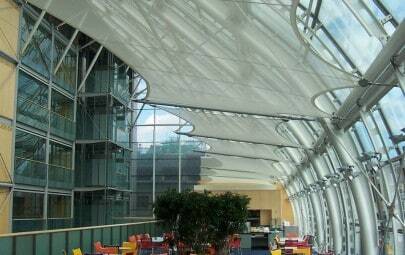 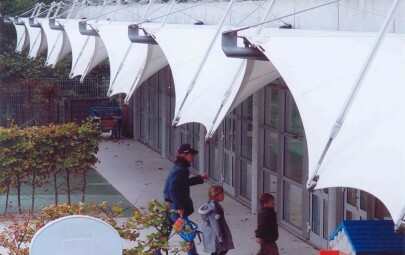 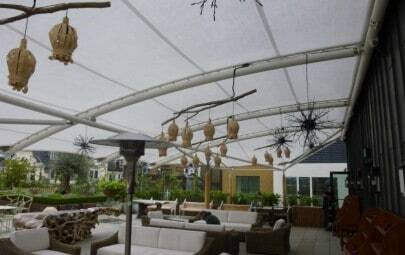 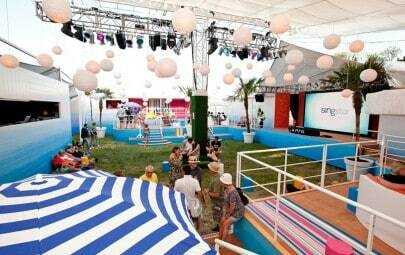 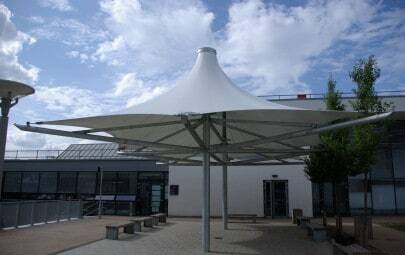 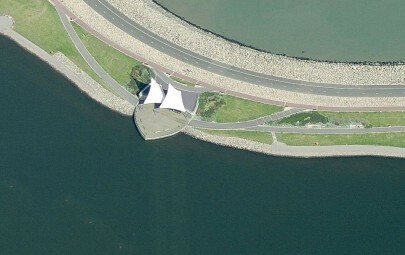 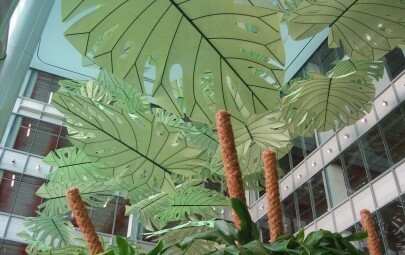 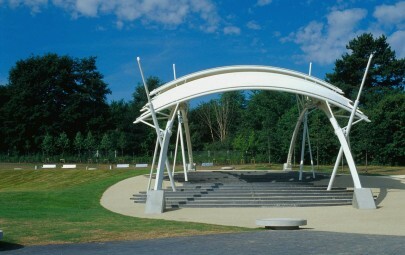 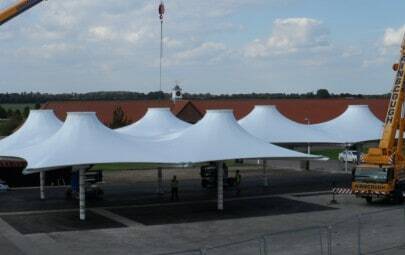 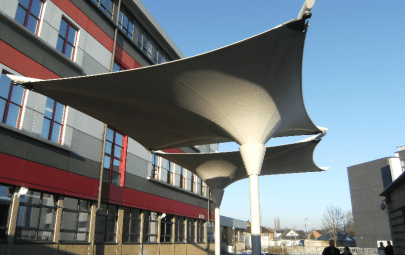 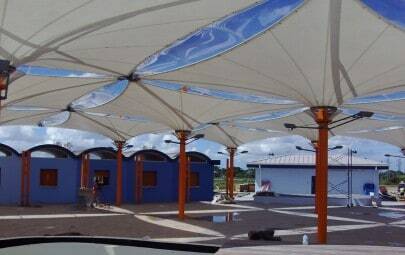 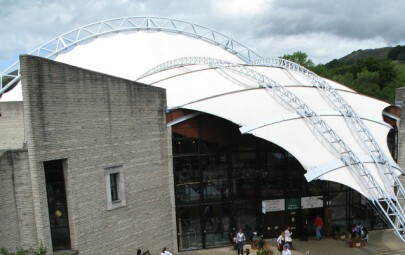 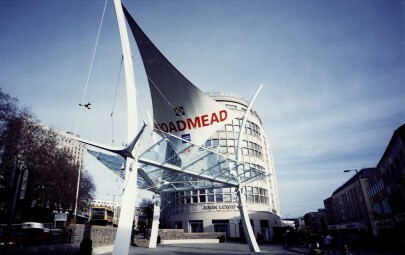 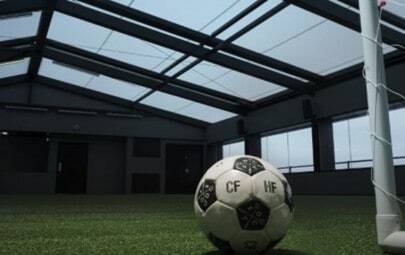 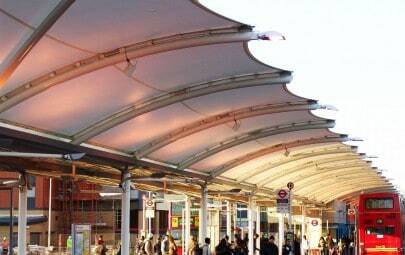 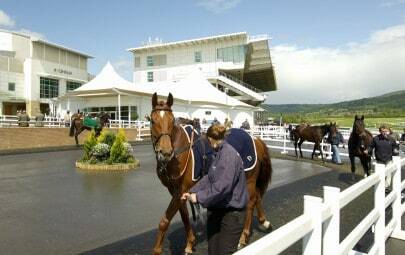 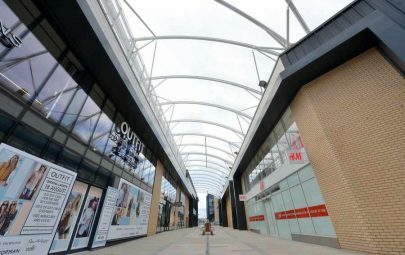 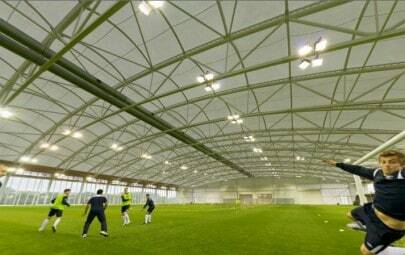 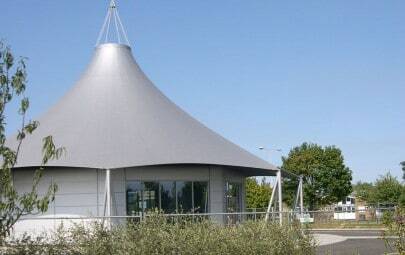 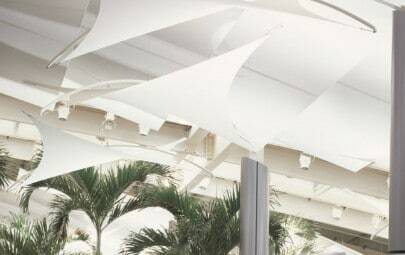 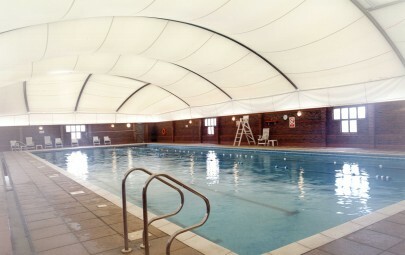 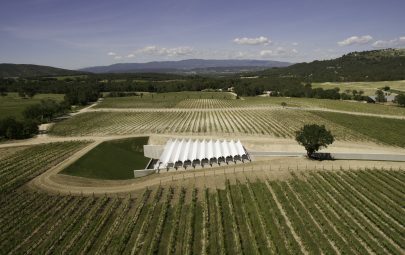 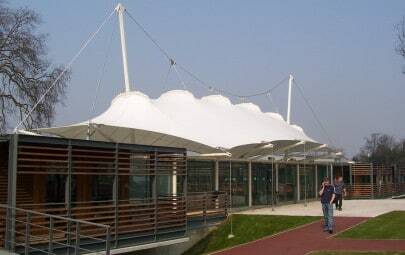 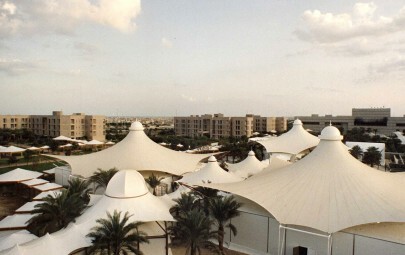 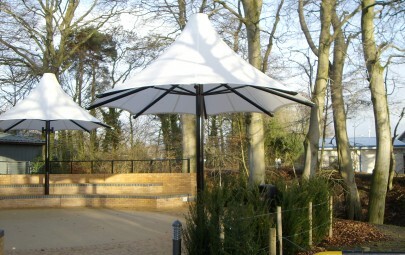 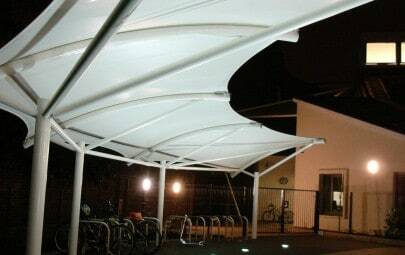 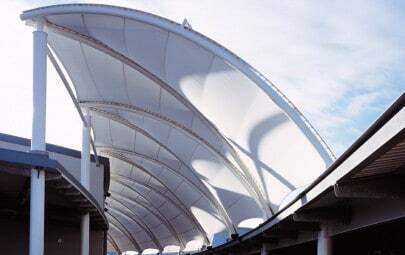 Its unusual shape, formed by a steel frame and PVC coate polyester canopy, is designed to optimise shade while still allowing ventilation and light to permeate. 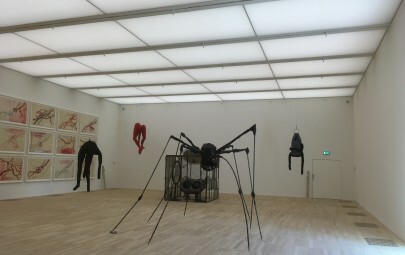 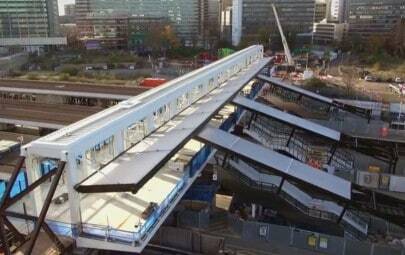 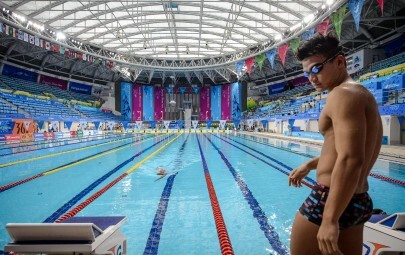 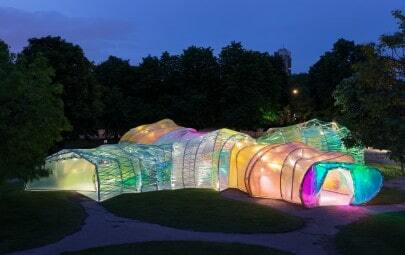 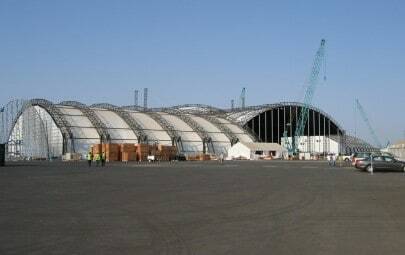 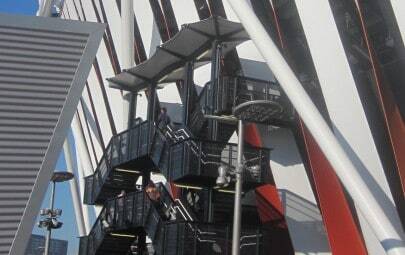 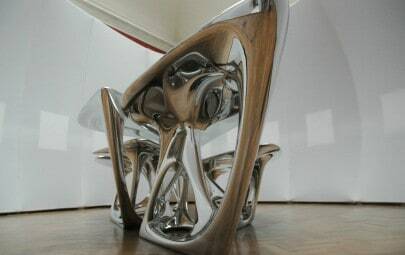 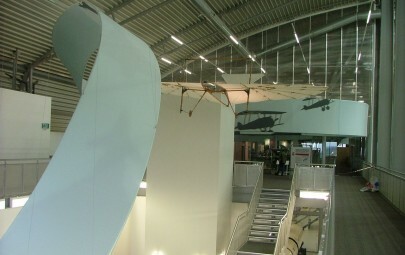 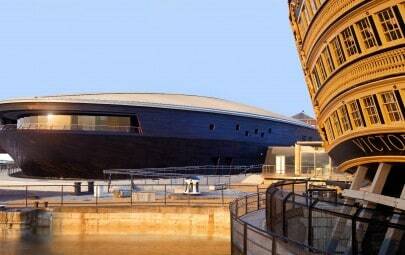 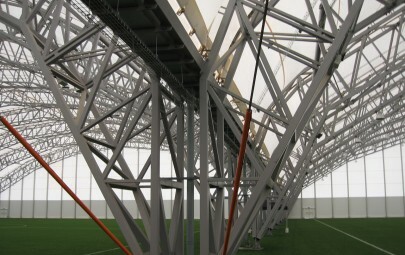 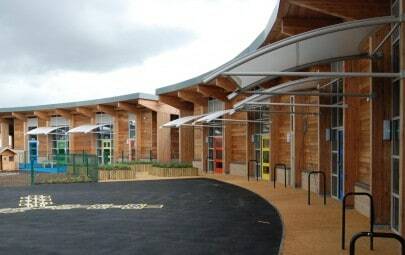 As with all school projects, safety for those using the structure is paramount and engineers had to be careful to ensure all aspects of the structure were child-friendly. 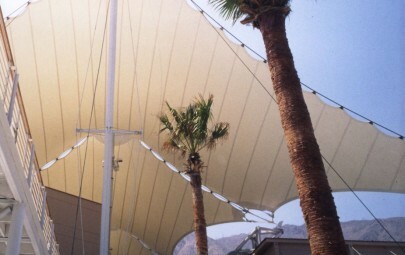 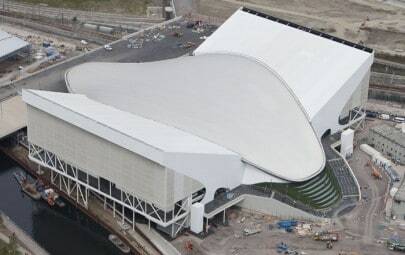 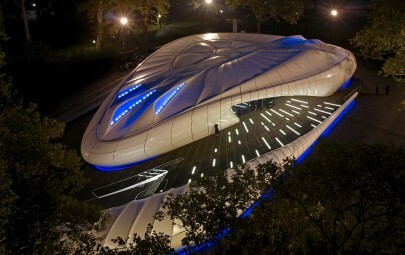 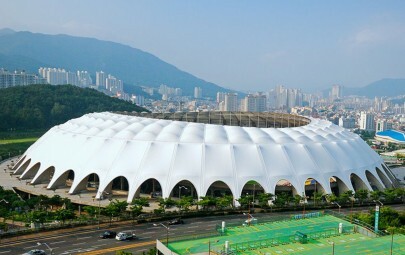 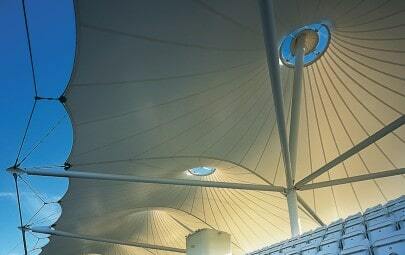 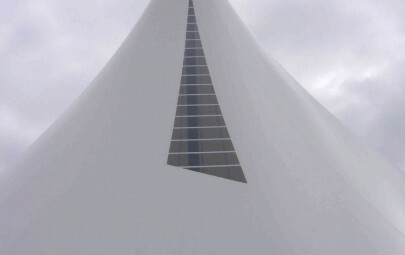 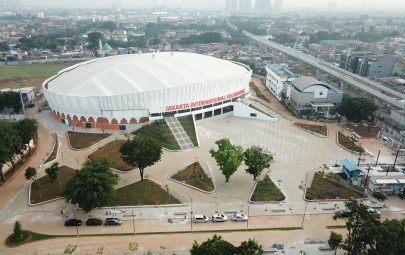 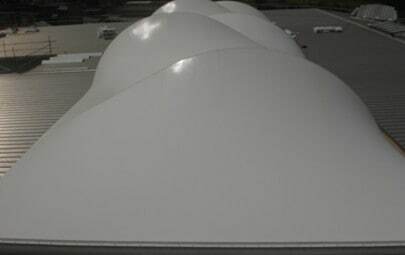 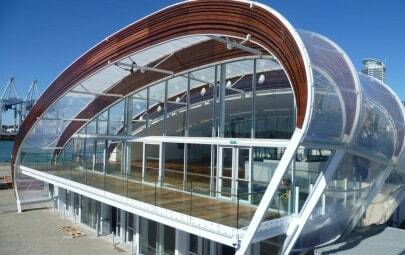 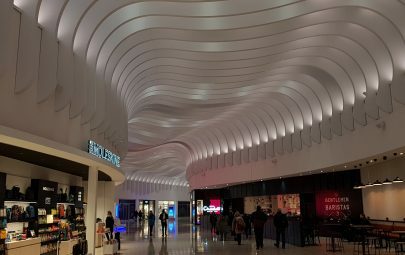 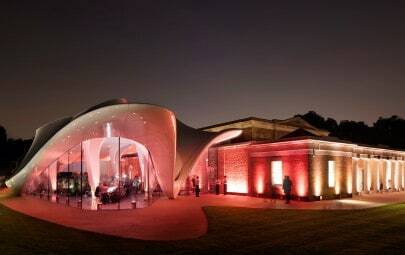 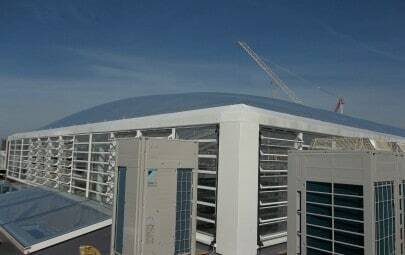 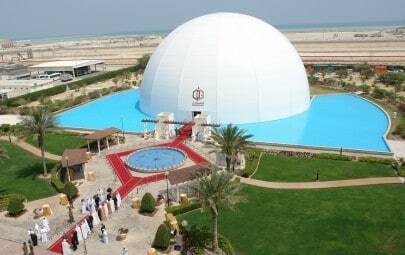 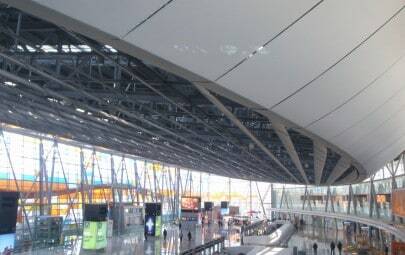 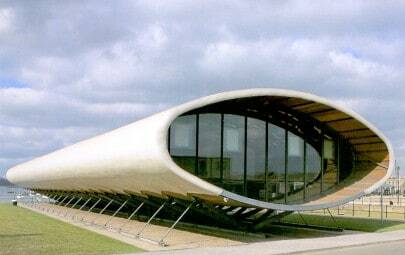 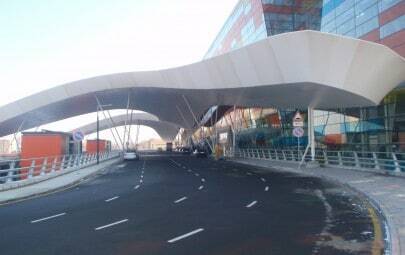 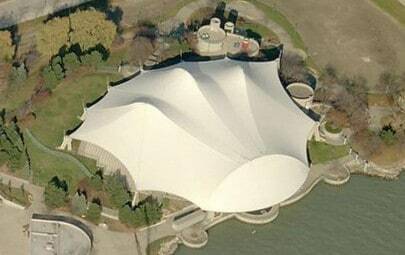 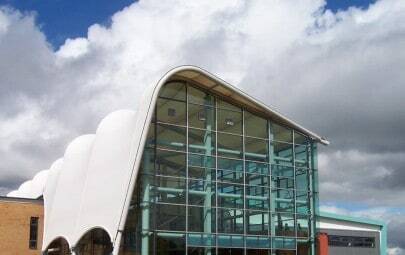 To enhance the aesthetics of the tensile structure, the angular shape of the crisp, clean canopy is carefully contrasted with the curved transparent teardrop windows in the middle. 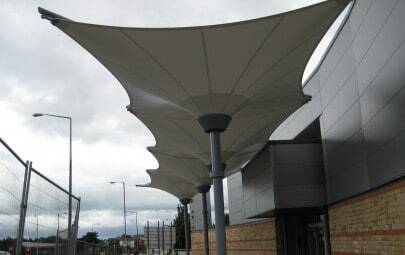 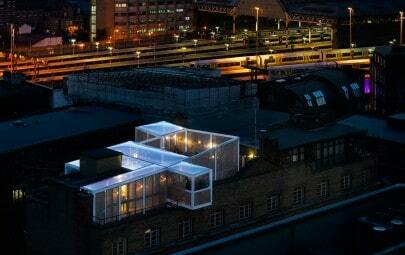 Not only do these provide an additional detail to the external aesthetics, but they also add essential light to an area that is plunged into shade. 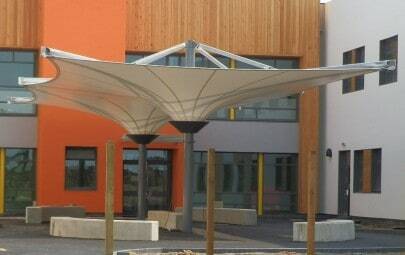 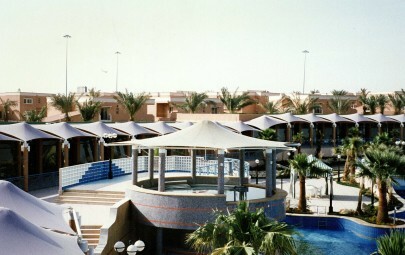 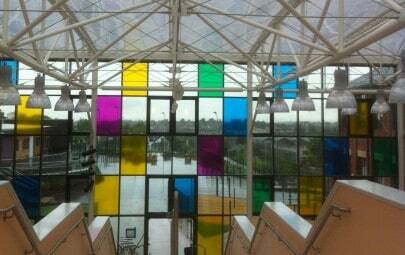 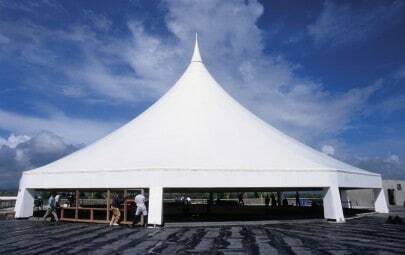 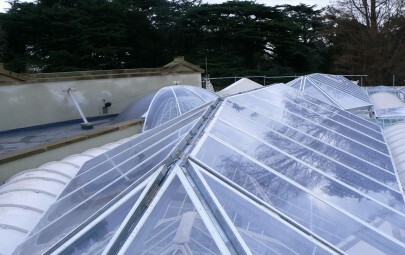 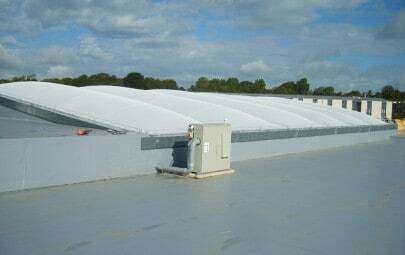 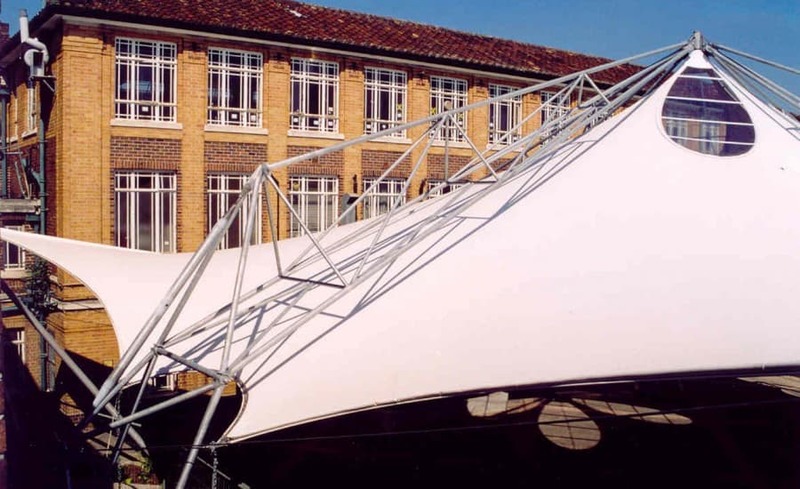 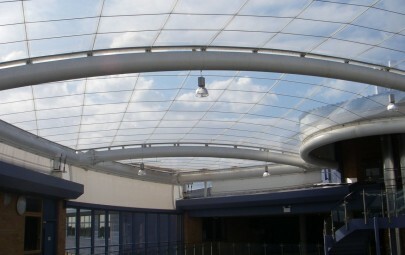 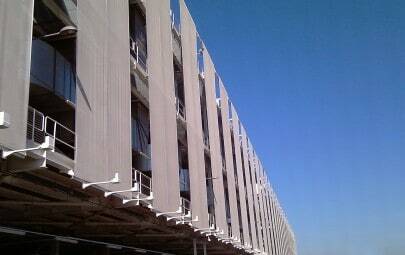 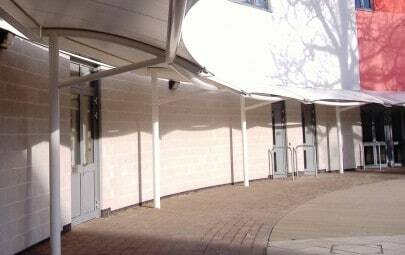 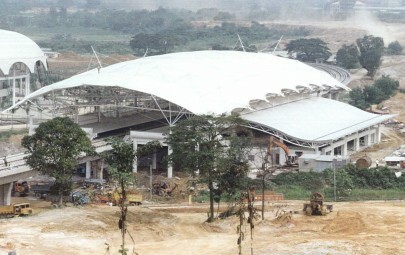 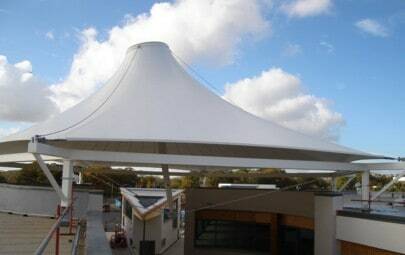 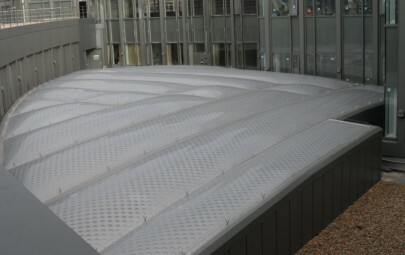 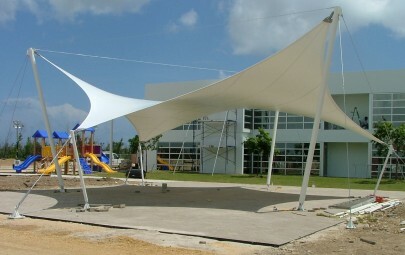 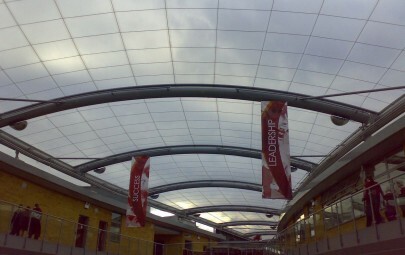 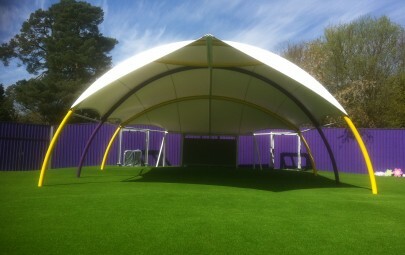 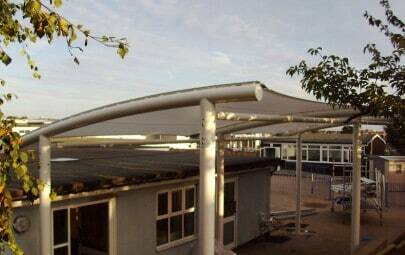 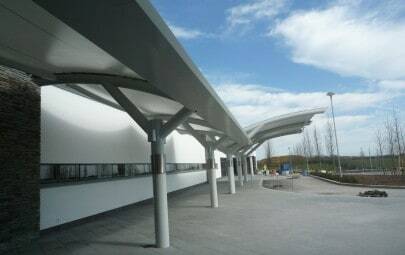 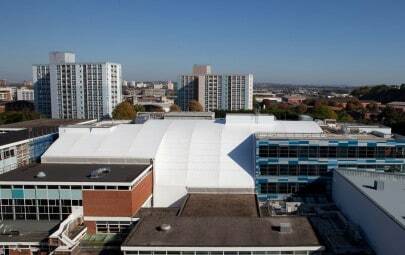 The size of the canopy meant that pre-assembly was essential, so the actual installation at the school was minimal. 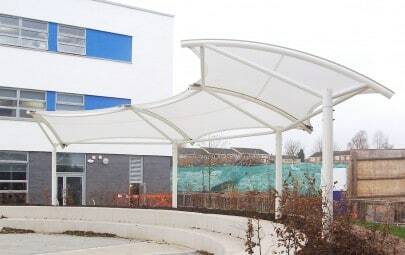 Once on site Architen Landrells skilled site crew, along with a team of specialised sub contractors, installed the school canopy with minimal effort but great success, and the children of Cotham School can enjoy the school playground whatever the weather.